Reserve the best seats in the house and skip the line with 1st & 2nd row Big Shot advance tickets. The Preservation Hall Foundation is proud to present, at 8, 9, & 10 PM, the current Artist-in-Residence, Los Cenzontles, collaborating with the Preservation All Stars. The Preservation Hall Foundation is proud to announce that Los Cenzontles is the latest musical group to join the Artist-in-Residency program this December. Los Cenzontles (Nahuatl for The Mockingbirds) is a Mexican-American group that promotes Mexican roots music through research, performance, education and media production. They are based in the working-class city of San Pablo, California where they form the core of Los Cenzontles Cultural Arts Academy, where the members of the group were trained. Los Cenzontles have revived and promoted little known styles of Mexican regional music since 1989. The group has collaborated with numerous artists that include David Hidalgo, Linda Ronstadt, Los Lobos, Ry Cooder, Taj Mahal, Jackson Browne, The Chieftains and Flaco Jimenez, among others. 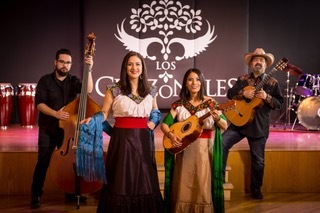 Los Cenzontles has produced 30 tradition-based and cross cultural albums, four documentaries, and hundreds of video shorts available on their YouTube channel. 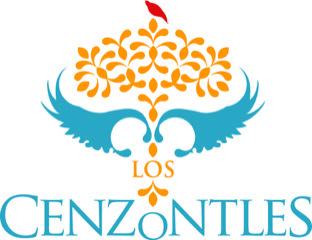 Los Cenzontles’s residency will take place from Monday, December 10 through Friday, December 14, 2018. Their residence includes performances at the Mexican Cultural Institute at the Mexican Consulate in New Orleans on Wednesday, December 12 at 6 PM and a two-set performance at 8:00 and 9:30 PM at Preservation Hall on Thursday, December 13. Preservation Hall Foundation’s Artist-in-Residence program invites artists who work in a wide variety of media, including music, visual arts and dance, to engage with the dynamic Preservation Hall community, allowing for exchange and collaborative relationships to develop within the artist. Launched in 2011, the Preservation Hall Foundation protects, preserves, and perpetuates the musical traditions and heritage of New Orleans. Through music education, outreach, historical archiving, and support for our musical collective, the Preservation Hall Foundation strives to create greater awareness and appreciation for Traditional New Orleans Jazz and the communities that support it.